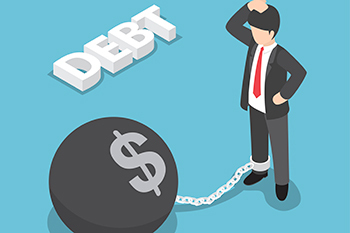 In today’s scenario of falling interest rates, investors who are risk-averse and are looking for a steady income in the form of interest payments are quite worried and despondent. The rate of interest offered on fixed deposits (FDs) by banks, institutions and corporates is much less than what these depositors used to get about 5 years ago. This is especially true in the case of retirees who invest lump sum amounts in FDs of banks,corporates and financial institutions to meet their financial needs post retirement, but with such low interest rates, their post-retirement income has depleted substantially. But this need not be the case if these depositors put their money in debt funds. Over the years, the debt funds (fixed income funds) have generated higher returns than bank deposits. Apart from higher returns, debt funds offer flexibility of withdrawal, unlike investments in fixed deposits which get stuck up for the duration chosen by the depositor. If the debt funds are held for over three years, the investor gets tax benefit too. Also, there are many types of debt funds, ranging from short term and ultra short term liquid funds to medium and long term ones and investors can choose as per their needs and investment horizon. Debt funds are safer than fixed deposits as these funds invest in rated investment grade debt instruments, government securities and liquid money market instruments, while banks, companies and financial institutions are exposed to default by borrowers, project risks and vagaries of the market. The expense ratio of mutual fund is less than banks and financial institutions. With so much to go for debt funds, there is no reason why any investor should say no these attractive investment avenues.